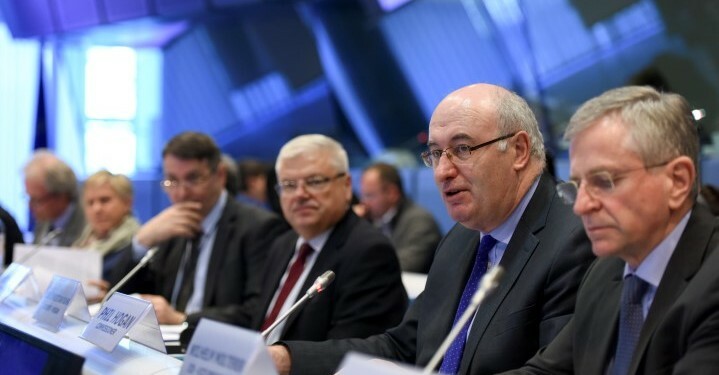 European Commissioner for Agriculture and Rural Development, Phil Hogan has once again voiced his opposition to increasing intervention prices ahead of a crucial meeting of European Agriculture Ministers next month. In a letter published in the French publication La Tribune, he conceded that the dairy sector is facing a particularly ‘difficult situation’ in a context of record production and moderate growth in demand globally. Regarding the volatility of milk prices and requests for increase in the intervention,he remained stadfast in his opposition to the proposal. “Let me be clear: strengthening the intervention is not in the interests of dairy farmers. “We live in a time of market volatility due to an unusually high production in all markets, particularly in the United States and New Zealand, but also here in the EU. “Added to this is the fact that the demand for dairy products in major markets such as China is moderate,” he said. 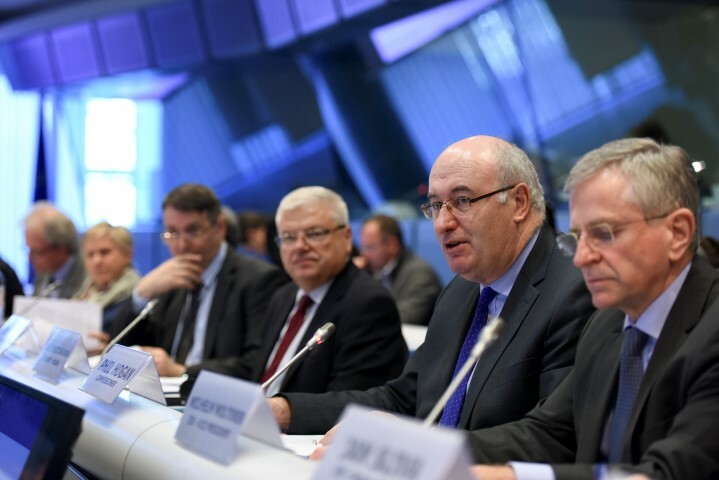 European Agriculture Ministers will meet on September 7 following the growing concern about the economic situation in the dairy and in the livestock sectors in certain Member States of the EU. The Luxembourg Presidency decided to convene an extraordinary Agriculture Council meeting on Monday, September 7, 2015, in Brussels. The have been numerous calls for the Commission to increase intervention prices ahead of the meeting. The most significant call to date has been from French Agriculture Minister Stéphane Le Foll. At the last meeting of the Council Irish Minister for Agriculture, Simon Coveney also asked Commissioner Hogan to give serious consideration to an intervention price increase. Last week the UK became the fourth country to sell dairy product into intervention. According to latest statistics from the European Commission’s Milk Market Observatory the UK last week joined Poland, Belgium, and Lithuania in using intervention when it offer just under 450t of skimmed milk powder to the scheme. It now means that there is currently just under 4,200t of skimmed milk powder (SMP) in public intervention with Belgium offering 1,800t and Poland 880t to date. Lithuania which was the first country to use the measure since 2009 offered has offered 1,300t of (SMP) to date.